One year ago, Harrison Burton dominated one of the best races of NASCAR Speedweeks 2018 mere miles away from Daytona at New Smyrna Speedway. Burton was in full control for most of the K&N East event only to lose in the closing laps to a hard-charging Todd Gilliland. One year later, both drivers are playing on the big stage, and Burton flipped the script. He bested Gilliland on a green-white-checkered finish to win the ARCA season opener at Daytona. Grant Quinlan, Christian Eckes and Sean Corr rounded out the top-five finishers. In one of the most competitive ARCA plate races in recent memory, Venturini Motorsports teammates Burton and Eckes were among the class of the field. They controlled the front both in the draft and on numerous restarts that saw the pair work in tandem, one letting the outside driver drop in on the start to get the pair up front and out of harm’s way. Their dominance was challenged late, however, by a hard-charging Gilliland and Brandon McReynolds. McReynolds, prior to his wreck inside of 10 laps to go while bump-drafting with Gilliland, may have had the strongest car in the field. A number of heavy hitters saw stellar performances early and late go to waste. Defending race winner Michael Self and Willie Mullins got involved in a wreck inside the first 10 laps that ruined both drivers’ days. Gus Dean saw a dominant first half of the race go up in smoke when he was collected in the McReynolds/Gilliland melee. Gilliland himself ultimately came up one position short after he lost the lead mid-race due to issues on pit road fueling his car. The big winner from a points perspective was undoubtedly Eckes. 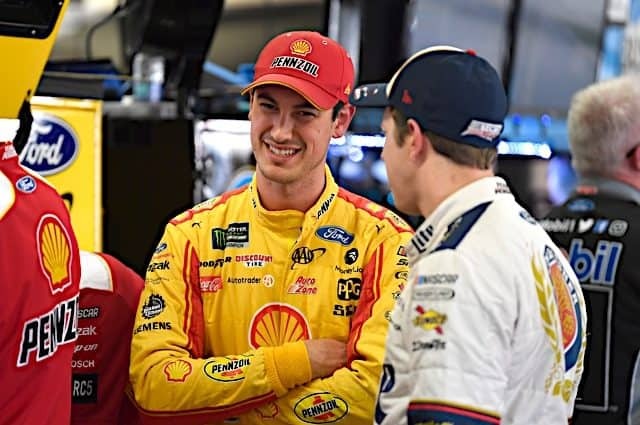 By finishing fourth, he opened 2019 with a big cushion over teammate and fellow title contender Self, who finished 32nd with crash damage. Harrison Burton will dominate the headlines for winning Saturday’s race, but Christian Eckes delivered the most complete performance a Venturini driver displayed at Daytona. With Burton leading the majority of the laps, it was up to Eckes to be composed on Burton’s rear bumper. It was up to Eckes to choreograph with Burton on multiple restarts, pulling moves common at Martinsville on the high banks of Daytona to maintain VMS control of the race. And at the end, with a Daytona victory in sight, Eckes heeded the words of his team to think big picture and preserve his race car. The result was a top-five finish that, when coupled with bonus points accrued for winning the ARCA pole Friday, established the youngster as a clear championship favorite for the 2019 ARCA crown. Eckes may be a sleeper contender for next Friday’s Gander Outdoors Truck Series race if he can duplicate this effort. Grant Quinlan fell off the face of the earth early in the running of Saturday’s race after dealing with debris on the grill of his machine. (Many cars had this issue due to howling winds for the duration of the race). 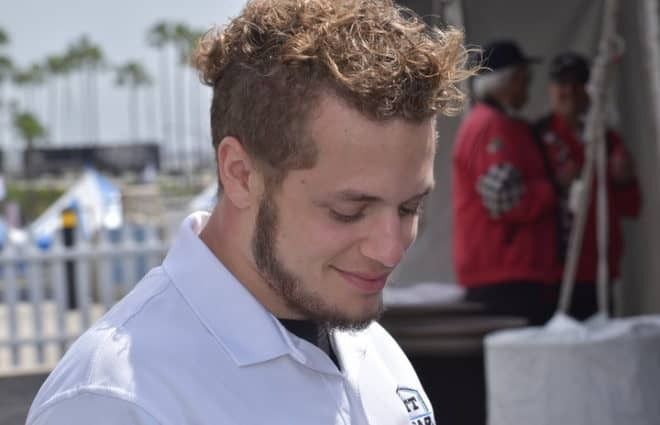 But, as described in his post-race presser, Quinlan picked his way through the field to be in contention at race’s end, scoring a third-place finish in only his second career ARCA start. Of note, Quinlan’s finish marks the second time in three years the Rette Jones Racing team has finished in the top five at Daytona (Terry Jones was the 2017 runner-up). Connor Hall’s 11th-place finish wasn’t flashy. But he made the save of the race late in the going when, after getting out of shape in turn 4, he caught his spinning car on the apron, keeping it straight and out of the path of a large pack of cars. Though JJ Pack and Paul Williamson ended up wrecking in the immediate aftermath, Hall prevented the “Big One” from marring his ARCA debut. Andy Seuss finally turned an ARCA start into a top-10 finish with a seventh-place result, his first top 10 in ARCA competition since finishing runner-up at Talladega in 2017. And Sean Corr finished fifth, his best ARCA result since Talladega in 2016. After ending the 2018 campaign on a downward slide, it was imperative Michael Self get off to a strong start in the season opener. Instead, Self’s defense of his Daytona title lasted less than 10 laps. On lap 3, Self got a bad knock off the bumper of Willie Mullins (last year’s Daytona runner-up) heading down the backstretch. Self nearly got airborne while spinning, bouncing violently off the asphalt and backstretch grass before settling and returning to pit road. The damage forced him behind the wall for more than 30 laps before returning to the track to finish a dismal 32nd, a career worst in ARCA competition. John Ferrier’s race ended before it even began, as Ferrier found himself on pit road with issues even as the green flag dropped. Eventually making it onto the track, Ferrier would retire for good around the midway point of the race when he reported the throttle was not working, leaving his car idling the entire way around the Daytona oval. Ferrier’s 34th-place finish, coupled with Thad Moffitt’s late-race wreck and mid-race bout with a dropping window net, were the exact opposite of teammate Sean Corr’s, capping a bipolar day for the Empire Racing organization. Brandon McReynolds looked to have the strongest car in the field for the final 30 laps of Saturday’s race. But it took 25 laps of slogging through the middle of a continually disorganized pack for his No. 28 to get into position. Finally, on a lap 77 restart, McReynolds hooked up with Todd Gilliland, and the two went blazing through the field, cracking the top five and with enough momentum to reach the front. They did this through aggressive bump-drafting (including in the corners, despite being warned not to do so in the drivers’ meeting). But that strategy went wrong on the backstretch inside of two laps to go. With Gilliland pushing, McReynolds got slightly out of shape underneath Bret Holmes, and that was all she wrote. McReynolds finished 20th. Speaking of Holmes, the return of his family-owned team to ARCA competition appeared headed for a podium finish until he was swept up in the McReynolds/Gilliland incident. That wreck cost the No. 23 team 16 positions in the final finishing order. Riley Herbst spent 2018 under siege from mechanical and electrical gremlins, and they showed up again late in Saturday’s race. Herbst, a fixture in the top 10 for much of the afternoon, was forced to pit late for a broken throttle linkage. 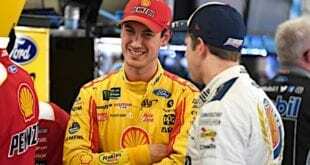 He recovered to finish 10th, a disappointment for the powerhouse Joe Gibbs Racing organization. Joe Graf Jr.’s first career start at Daytona proved to be snakebit even during the pace laps, where the driver relayed to his crew he was struggling to keep the shifter in position. 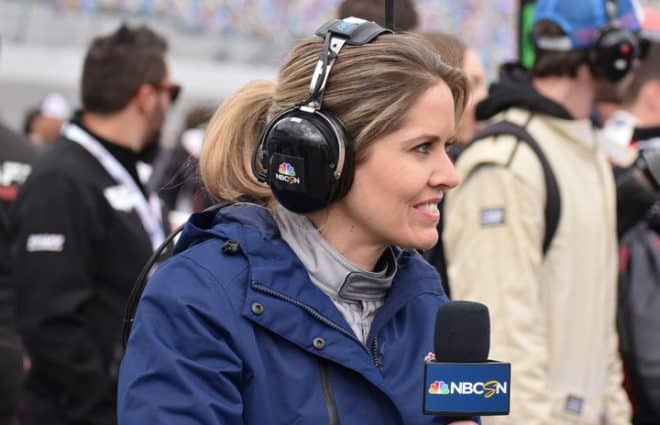 Under the race’s first yellow, Graf was forced to pit road for radio issues (while voicing still more concerns about the shifter). It got worse around lap 14, when Graf was forced to pit under green to take on water after debris on the grill forced the car to overheat. By the time Graf and the No. 77 team had their car sound enough to race, they were four laps down; he wound up a dismal 21st. 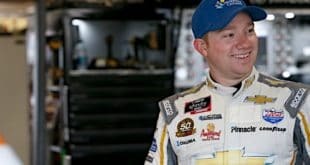 On a day where Venturini Motorsports got off to a fast season start, Chad Bryant Racing is already playing from behind. The pre-race build-up to Saturday’s ARCA race was highlighted by the best news the series could have asked for. 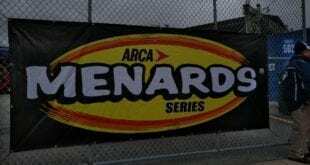 After nearly a decade as presenting sponsor, Midwest hardware chain Menards has stepped up to become title sponsor of the ARCA Menards Series. It’s the first time ARCA’s premier series has had a title sponsor since 2010. Having said that, there were multiple factors to be concerned about that surfaced on a day where, at least on track, all was right with the ARCA world. Saturday’s race started with 35 cars, the lowest car count an ARCA race at Daytona has seen since 1980. Considering ARCA’s next race will also be in Florida, a state where attempts at early-season racing at USA International and Palm Beach International Raceways fizzled after only one season, concerns about car counts are likely going to be a staple of the 2019 campaign. The same can also be said for crowd size. Although the weather in Daytona Beach Saturday afternoon wasn’t something the Chamber of Commerce will brag about, the fact remains Saturday’s race had a smaller crowd than any of the dirt tracks in the area have been hosting during Speedweeks in a 100,000-seat grandstand. That’s not a good look. What also wasn’t a good look was the seeming “team orders” that decided Saturday’s ARCA race. 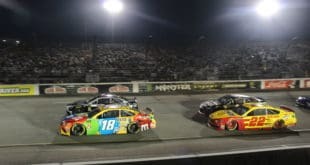 As the field circled the track under yellow coming to the green-white-checkered finish, Venturini Motorsports spent considerable time lobbying driver Christian Eckes to think big picture. To remember they needed to return their race car in one piece on the trailer. 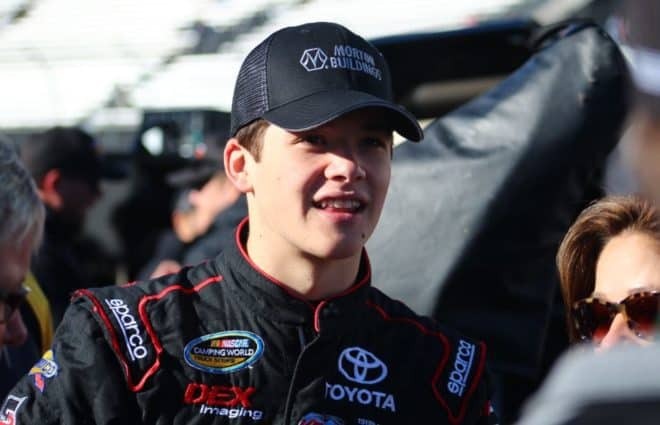 To remember that while Harrison Burton had powerhouse Todd Gilliland pushing him, Eckes had [only] former Venturini driver Natalie Decker behind him. From where I was sitting, it sure seemed like they were telling Eckes to lay down and let Burton score the win for the good of the organization. At race’s end, “team orders” didn’t matter. Although Eckes got a tremendous restart, Decker didn’t, and by the time Eckes got up to speed in turn 3, Burton had rode off into the sunset. But if Eckes had a stronger pusher behind him that could have taken advantage of his stellar restart, “team orders” may have decided an ARCA race. Enough said. Getting back to something positive, the one-overtime rule ARCA implemented for this race after last season’s Daytona event turned into a demolition derby thanks to multiple overtime attempts worked. The level of carnage incurred in the closing laps of Saturday’s race was markedly reduced. 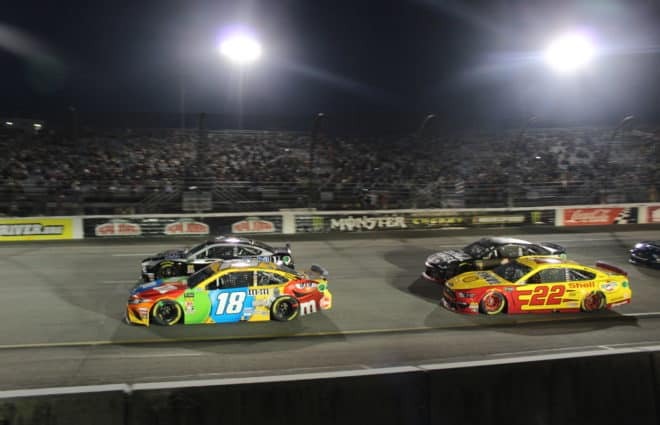 Also noteworthy, there were no drivers that suffered from fuel shortages or anything else related to running long distances beyond the scheduled race itself. Overtime to give the fans a better finish is one thing, but overtime turning the end of races into lotteries is something else. Kudos to ARCA for finding a middle ground. Hey, I clicked on About-Bryan-Keith. Nothing happened. Fix it! Your cheering hordes of fans want to know about you!